The physician's practice of UT Health San Antonio provides treatment and therapy for adults and children with strabismus. Strabismus, or misalignment of the eyes, can cause double vision, eye strain or vision loss. It can also result in unsatisfactory cosmetic appearance. Corrective options include specialty glasses, patching, eye muscle exercises or surgery. 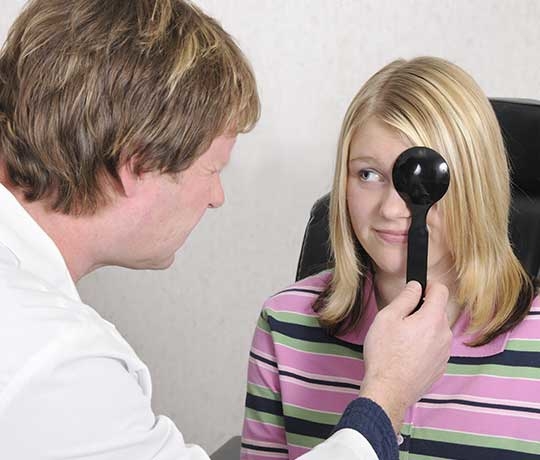 While there are various causes of misalignment that affect children and adults alike, our fellowship-trained specialist is prepared to help evaluate and manage all types of strabismus including lazy eye, crossed eyes or double vision.